Taking care of your own health and well-being is an important part of being a caregiver. What is the Caregiver's Companion program? This free program helps you cope with the challenges that come with caring for someone during the transplant journey. You will be paired with a trained BMT patient navigator through the Be The Match® Patient Support Center who will check in with you by telephone. They will listen, share tips, help you with challenges you're facing, and support you in taking care of yourself. 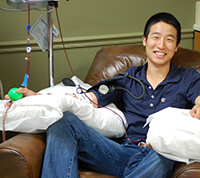 Primary caregivers who are caring for a loved one in the recovery phase after a blood or marrow transplant (BMT). 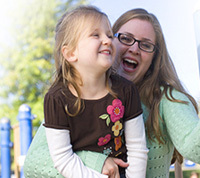 Support for parents is available for those caregivers who have a child going through transplant. Learn more. The Caregiver's Companion is a guide for caregivers of blood and marrow transplant (BMT) patients to help you build upon your strengths and help you develop new ones as you take on the role of BMT caregiver. It can be hard to know how to cope when you are feeling so many different emotions. Learn how to understand common thoughts and feelings and find coping strategies that work for you. Simple and direct communication can help you ease stress and avoid misunderstandings. 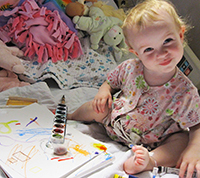 This chapter has tips on how to communicate with the transplant team, family and friends. Get help from friends and family to help you through a long treatment process. Learn steps to get the help you need most, how to be ready when friends offer to help, and how to stay connected to those closest to you. Caregiving is stressful. Learn simple ways to relieve stress, such as stretching and adding more walking into your day. Also, learn how to make healthy choices even when you’re short on time. Caregiving can cause wear and tear on your body, mood and quality of life. Learn how to understand what triggers your stress, simple techniques you can use to lower your stress. Also, find ideas on how to carve out personal time. 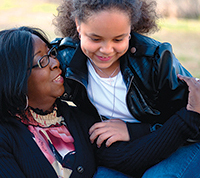 While caregiving can be demanding it can also have positive moments that may be life-changing. This chapter highlights ways to explore meaning, keep in touch with your own identity, and create positive moments and memories.